49er Fire memories: Where were you 30 years ago today? 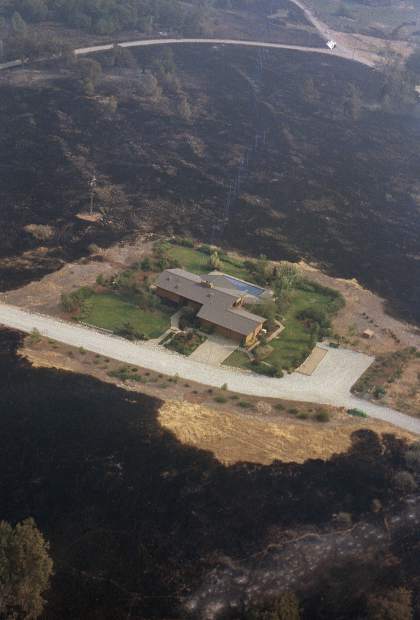 Aerial view of home destroyed by the 49er Fire. Residents evacuate livestock on Bitney Spring Road. Site of a home destroyed by the 49er Fire. Firefighters take break while an air tanker makes a drop on the 49er Fire. 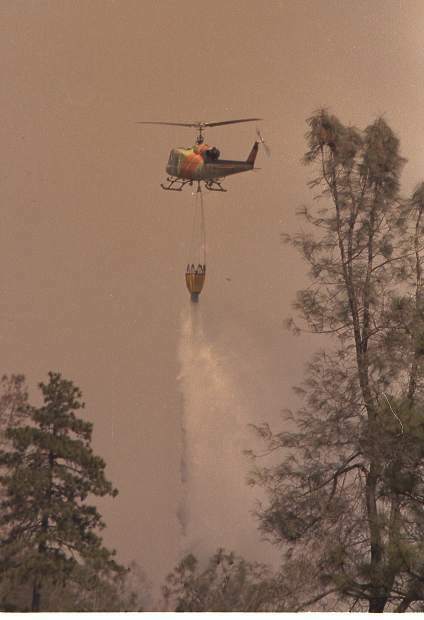 A helicopter makes a water drop on the 49er Fire. 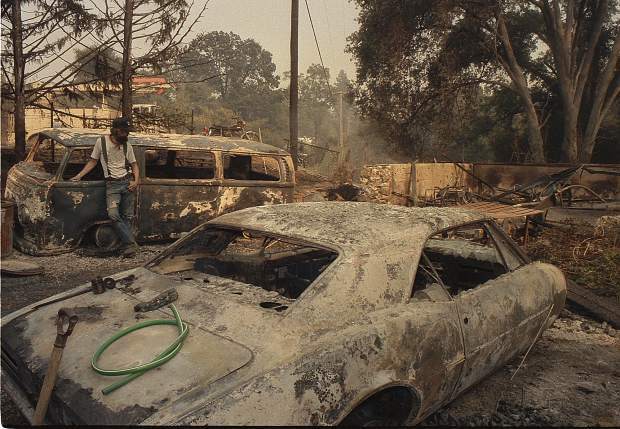 Area residents watch the fire fight in September 1988. A home that was saved from destruction from the 49er Fire. A firefighters mops up hot spots during the 49er Fire. 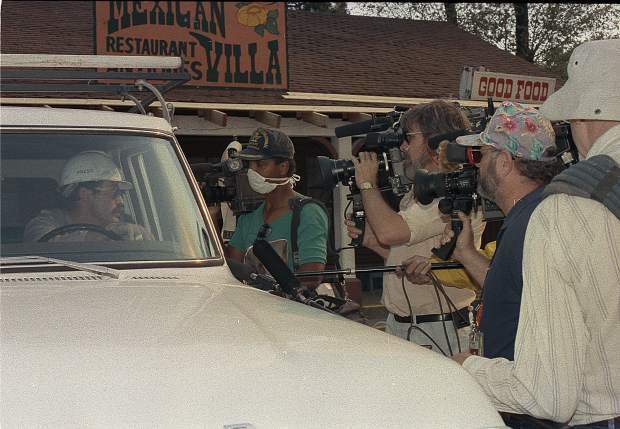 Members of the media get the latest report on the fire's progress in September 1988. 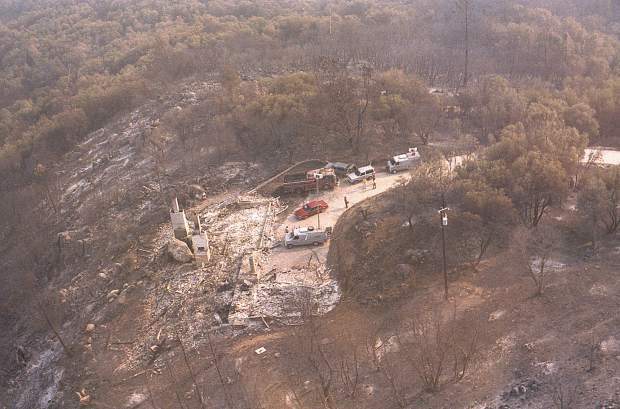 The scene from a Lake Wildwood beach in September 1988, when the 49er Fire burned through western Nevada County. 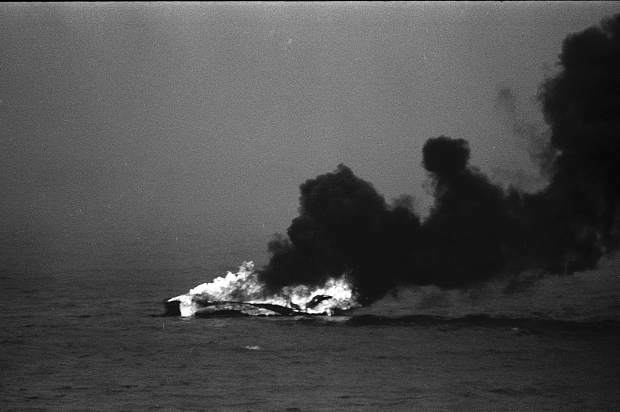 A boat burns on the water at Lake Wildwood during the 49er Fire. Aerial view of the fire's path. 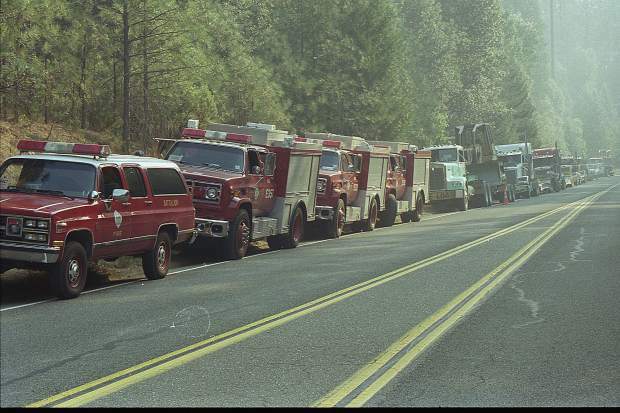 Long line of fire equipment during the 49er Fire. 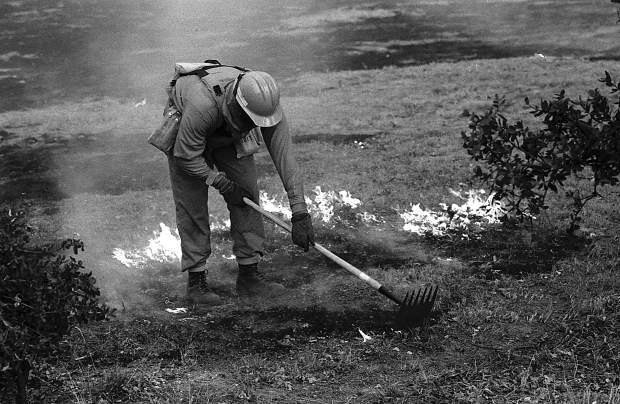 A firefighter take a break during the 49er Fire. We were residing in Auburn, and our daughter, Kris, in Penn Valley at Oak Tree Farm. Bill was playing softball at Regional Park when we noticed a huge plume of smoke up the hill. I rushed home to call our daughter (no cells then), and received a desperate message from her to come to Penn Valley and pick up her two horses, because of a fire heading their way. Loaded up the horse trailer, picked up my husband, and rushed up the hill. We were stopped at Pleasant Valley Road along with many other vehicles, but were finally allowed in because we were driving a diesel truck. Scariest ride ever, following emergency trucks thru the fire as it burned on both sides of the road! Arriving at Pete’s, we found our daughter on the roof of the ages-old barn watering it down. The horses had already been evacuated by a friend in Grass Valley, and our daughter elected to stay and help with the fire. The next day the fire turned around and came back up towards Penn Valley and Wildwood, burning even more buildings. How Oak Tree Farm got missed, we’ll never know, but what a blessing; and such heartache for all the victims! 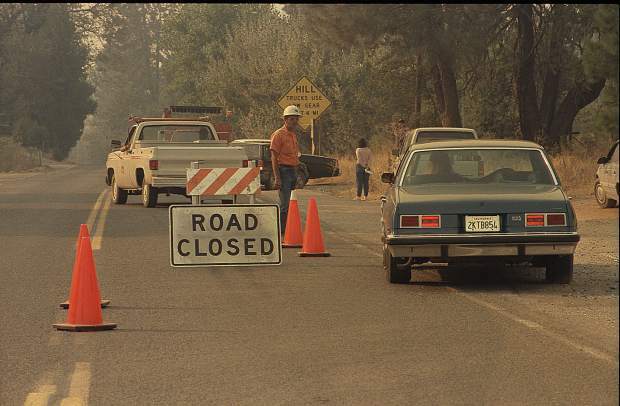 Editor’s note: The Union asked area residents to share their memories, including how they first heard word of the 49er Fire that burned through western Nevada County on Sept. 11, 1988 — 30 years ago today. 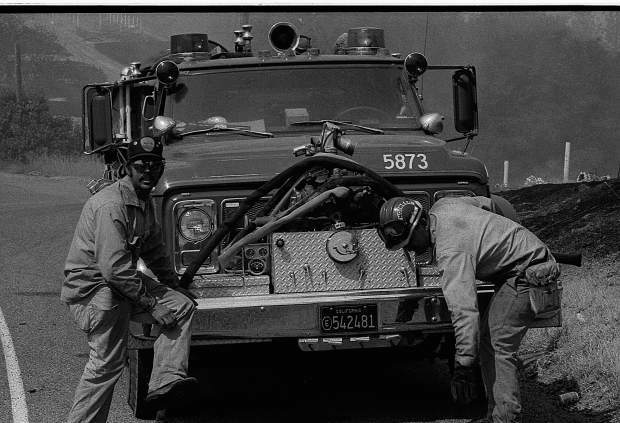 See this story at TheUnion.com to share your own memories of the 49er Fire. As I have many, many recollections of this fire, this one sticks out the most. The pyro cumulous cloud was growing bigger than ever. Strike teams and task forces were assembled from all local fire districts in the County. 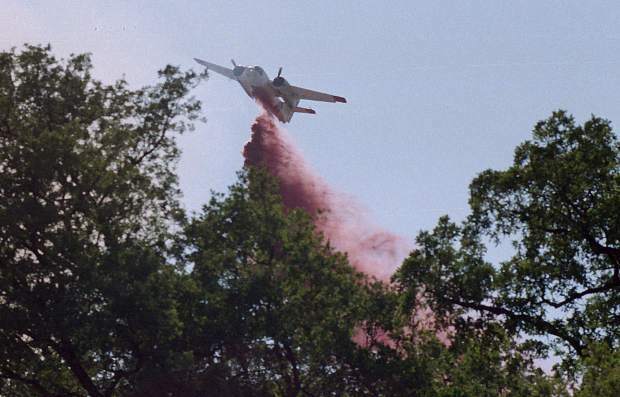 Cal Fire (CDF at the time) sent resources from throughout the state. Other local government fire departments from as far away as San Diego responded to the 49er Fire. 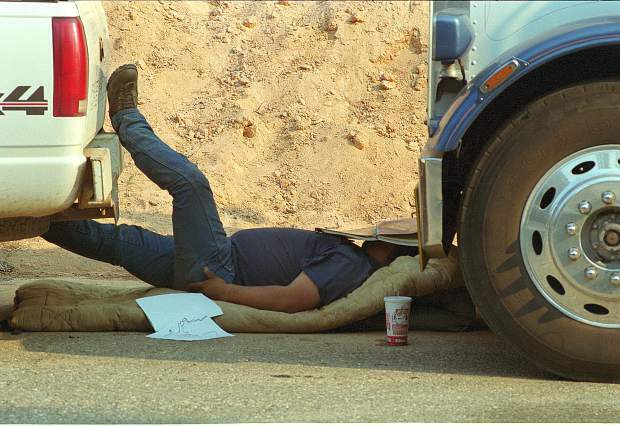 I was a task force leader on this incident. I was assigned to the Jones Bar/McKitrick Ranch area. The wind was blowing out of the canyon so hard it was sending sheets of corrugated metal roof 100 feet. We saved multiple houses in the area. At the end of Jones Bar Road, near the Yuba River, a hand crew was attempting to tie in and blacken a part of a fire line. It was 5:30 a.m. on Monday, Sept. 12, when I received a frantic radio message from engine 5372. E-5372 was protecting a house at the very end of the road. I had noticed the fire activity pick up rapidly. I positioned myself as a lookout for the crew and engine. Earlier that day I requested a dozer in the area build a large football size safety zone for the protection of the personnel. A good move! Because the fire came flying out of the canyon. The crew’s headlamps looked like fireflies as they were running out of the canyon and to the safety zone. E-5372 was staffed by a husband and wife team along with the 15-year-old son of the assistant chief of Penn Valley. As we talked through the ordeal, things calmed down. As you can imagine, this was a very tough time for all involved. The safety zone worked and thank God all were safe. If this same footprint of this 33,500 acre fire hit anywhere in Nevada County the devastation would be massive. Lives would be lost! Provide us with a chance and clear next to your structure. I am just returning from the Mendocino Complex on Ophir Hill water tender 52, as part of Cal Fire Task Force 9239. These fires are not getting any better! I was a young battalion chief for Cal Fire in the Butte Unit when the 49er Fire broke out. I had just spent 17 days in Yellowstone National Park on the fires there. I had been back one day and was already on a fire in Butte County due to the extreme fire conditions. My fire management team had come up on call and was dispatched to the 49er Fire to help the local Cal Fire Unit with organizing and managing the fire. My position on the team was Operations. One of my many memories of the fire was meeting up with the local battalion chief, Ed Waggoner. Ed and I got into a helicopter and flew the fire. When we got up over Lake Wildwood all I could see were houses burning and boats on fire floating around randomly. It reminded me of some war scene. Both lanes of the road leading to Lake Wildwood were full of trucks and cars full of belongings, pets and horses heading out to Highway 20. It was almost impossible to drive into Lake Wildwood. I have many more thoughts and memories of the fire, such as the Linda Fire Department engine burning up and the crew being rescued by a Cal Fire crew. I had just started the 8th Butte Fire Academy in Chico and was hired as a seasonal firefighter by Chief Grueneburg that summer. Never will forget that fire and all the damage it caused in Lake Wildwood and Rough and Ready. Seems like a million years ago today! We lived on Starduster and our power lead that came across the pasture went down almost as soon as the fire jumped the Yuba. No water to fight fire. Evacuation orders came, the kids and grandparents left for friends on Indian Springs and Cliff stayed with properties, using a big yellow, Massey Ferguson diesel, to run over fences and cut firebreaks, on top of firebreaks. 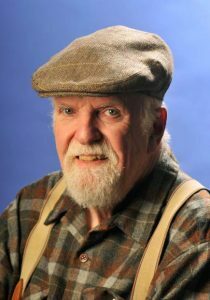 Charlie Jakobs, communications liaison for the multiple fire units, personally insisted that Cliff leave for his safety. When Cliff refused and said he would keep fighting with the tractor. (Charlie and he had graduated USF in the same class) Charlie asked, “How good are you on that thing”? 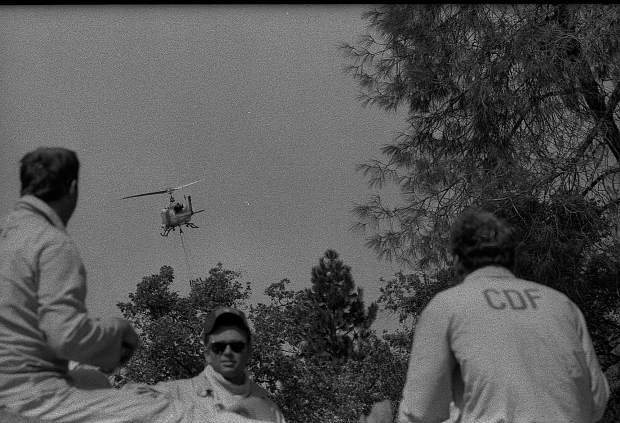 To which, Cliff replied “We’re about to find out.” A couple weeks later Charlie led the FEMA team and had the helicopter land in the pasture behind our house, bringing them over the fence. Charlie explained the funny story about the fire and the guy on the yellow tractor, who in a last-ditch effort to save something, threw the china in the pool. 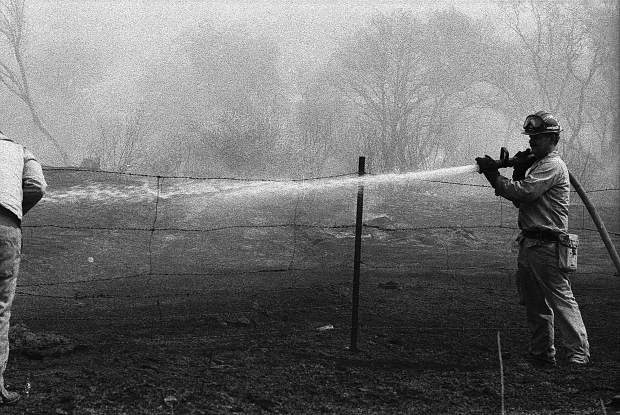 After the fire burned the barn, close to the house, Charlie went on to say he could have been such a hero but the wind came up, moved the fire wall away from the house and it was saved. 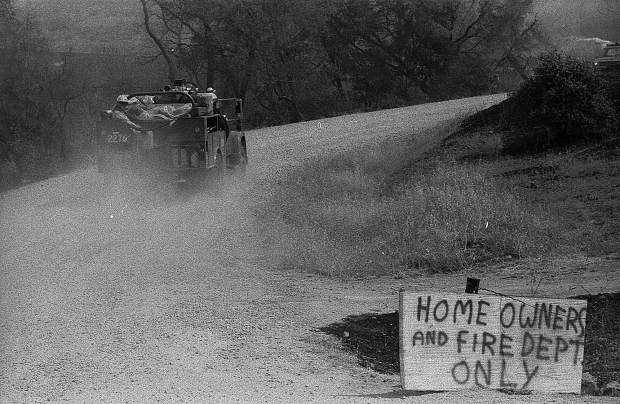 Just want to say, during the three-day siege, with fire all around and winds blowing flames in all directions, KNCO (Ron Monet, live reporting from the truck) provided a lifeline to the outside world. If it hadn’t been for their continuous reporting on the fires’ location and road closures we would have been bereft of civilization, not knowing what was beyond, what was left, where the fire crews were. Fire crews, volunteers and our local media earned their pay 100 times over and a huge amount of gratitude from all of us and an entire community for their dedication. Heroes … every one of them! Having just purchased property and beginning building, literally from below ground (septic system) up, we were caught completely off guard believing that the fire had been stopped at Highway 20 below Penn Valley. On the property when the fire raced up and over us, I literally thought we would die as fire exploded all around us! Quick thinking by my husband saved my life, his life, and our almost 3-year-old son’s life as we took cover under a running sprinkler in a patch made green as we de-chlorinated our well. Once the fire storm passed we ran around putting out hot spots threatening the trailer we planned on living in as we built! We lost a lot that day, but we didn’t lose our lives, and yesterday our once-upon-a-time 3-year-old was visiting us with his own little 3-year-old boy. I delight in telling him the factual story about his dad, hose in hand to fill our makeshift buckets, helping us put out the 49er Fire. My husband was at work at Grass Valley Group and I was home in Lake Wildwood. I had already loaded the car just in case and as I pulled out of my driveway, security came down our street telling us to evacuate. The scariest part was not the fire – it was the traffic jam trying to exit at the main gate. The fire engines were entering in a steady stream and no one could get out. We stood outside our cars for a long, long time before we finally got out the gate. My neighbors on the cul de sac above my house lost their homes, but thanks to the firefighters, my home was spared. They are truly my heroes forever! I also worked at Grass Valley Group at the time of the 49er Fire. We had been unable to go to work at the Bitney Springs location for several days. Finally my husband, Ron, and I were given permission to go to Building 2 and get a few of the computers so we could work from home. We were given 10 minutes. When we got there you could see the smoke off in the distance. As we made our third and fourth trips to our vehicle with the equipment, the wind generated from the approaching fire made it very hard to open the double doors for that last trip out. As we were going down the long drive at GVG’s front entrance to Bitney Springs Road, the fire had gotten surprisingly close. Across the road was a pond and a home beyond that. The flames that were coming over that hill were much higher than the tall pines behind the house. I remember thinking we better book it out of there before the fire jumps Bitney Springs Road. As we headed out, there were many fire trucks heading towards GVG. I looked back at that house by the pond thinking it was surely a goner. Thinking too that I probably wouldn’t have a place to work at anymore. Days later when the danger had passed and we were allowed to return to the Bitney Springs site, I was amazed to see that house across the street from Grass Valley Group still standing. Our firefighters do incredible work. 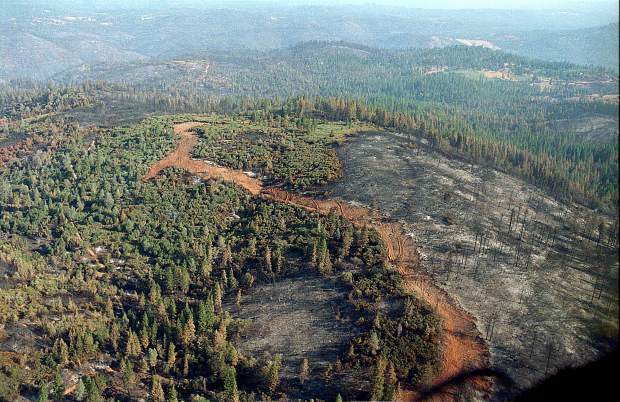 Obviously the fire did cross Bitney Springs Road because some of the buildings on the Grass Valley Group site were burned down. The flames came very close to my Building 2, the art department. I will forever be grateful to those brave people who fought that fire. I was in Germany with Jimmie Haskell and David Byrne (Talking Heads), recording David’s ballet for the German government when the fire was happening. Tried to call home for firsthand information and the call was not allow to go through. Had to wait until getting home to get the details. As some would say, “I was there.” I lived out on Indian Springs road back then, and a member of the Penn Valley Fire Department. I recall walking to our kitchen, l looked out the window and saw the smoke. Then I noticed the wind on the water of our lake. It was from the north. No, this wasn’t going to be a good day. I grabbed my fire gear and headed to the station. Word spread fast, and most of our crews were there just waiting for the call. We didn’t have to wait long. My engine was sent to Jones Bar to help Rough and Ready. We were assigned to guard one home, and we could see the fire, still on the north side of the river. It had a long way to go before it got here. So we thought. As soon as the fire disappeared below the lower ridge line, it crossed the river. All in five or so minutes. The owners did a great “fire safe” job. They saved their own home. The fire came through in minutes, we gave the place a good once over and headed to regroup. That was just our first two hours! Ah yes, like yesterday. We had just arrived in Nevada County a few months before and that day was our moving in day. We lived just off of McCourtney, and as we stood from the deck of our new home, watching the smoke and fire we didn’t know whether we should go or stay. Decided to stay and then … take this into the house and leave this in the car, if we have to make a quick get-away. Sitting in our car with the radio on, strangers would appear in our windows to listen to the updates. “Need Gatorade … OK enough Gatorade, bring blankets,” we heard from the broadcasters at KVMR. We literally had a warm welcome to our new community, and we have never regretted the move. It had been a long hot, dry summer and like every September we were fearful of fire. On this Sunday morning, my mother-in-law was visiting us from out of town for a few days. My wife and her mother went to church and I decided to go into town to catch up on some bookkeeping at our store. As I left Owl Creek Road and turned onto Jones Bar Road, I could see a big column of smoke in the direction of North San Juan. Then fire trucks began appearing headed toward Jones Bar. When I got to Highway 49 at the Willo, I saw that they had closed the highway to traffic and I knew this was serious. I nervously returned home and turned on KNCO news radio and called neighbors on the Yuba Canyon ridge to monitor the fire’s progress. I cleaned pine needles off the roof while I waited. By 1:30 p.m., CDF was ordering evacuations. I took about an hour to load my truck with clothes, paintings, photos, contents of the safe, and a few key carpentry tools in case I had to rebuild. I left as the flames began cresting out of the Yuba canyon and heading my way. 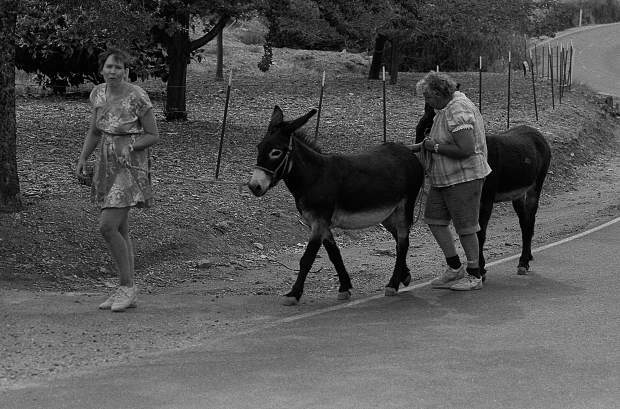 Jones Bar Road was a beehive of activity as neighbors were leaving with animals and possessions. I came across my wife and her mom on Hughes Road as they were heading home. We rented a room at the Best Western, where we had an emotional three days of ups and downs as the fire raged and changed directions. We were fortunate that a fire crew stopped the fire just a few yards from our house. They bulldozed a break between us and our next door neighbor’s burning house. How grateful we were! After several more evacuations we finally decided to abandon the country life and moved to town. 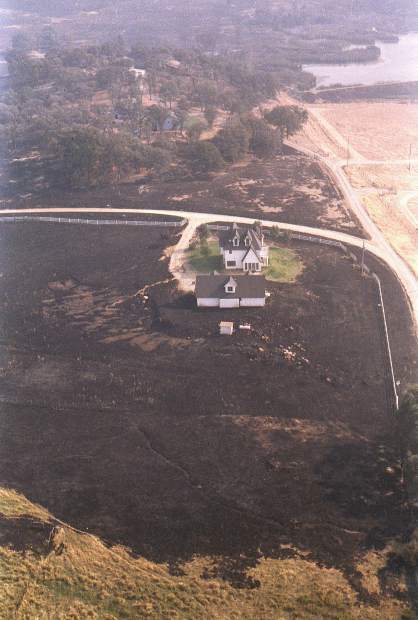 We lived on Mooney Flat Road, a mile east of Highway 20 during the 49er fire. That morning we were going to attend an art show in North Columbia and noticed a plume of smoke coming from that direction. We tuned into KNCO and heard that a large wildfire had erupted. Later, the fire department notified us to be ready to evacuate as the fire was expected to head our direction that night or the next day. We packed our two cars “to the brim” with clothes, photos, valuables and important documents, leaving room for our two dogs. That night the northern horizon was a band of red fire that was heading west at a slow pace. Very unsettling. We then learned that Lake Wildwood had been evacuated. As dawn broke we were using yard hoses and our land lord’s water tanker truck to soak the immediate areas around our house and the roof. The fire was progressing down Mooney Flat Road near Lake Englebright by late morning. About an hour later we heard trees exploding and suddenly saw what looked like a tidal wave of flames come over a ridge down the road and it was time to get the heck out of there. We headed to a friend’s home in Yuba County for shelter. Since there were no cell phones or laptops at the time, our only link to fire updates was KNCO on the car radio. We did not know for two days whether our house had survived. Fortunately, the fire traveled the opposite side of our road and miraculously there were no structures damaged. The stress of dealing with a wildfire and evacuation was surreal, scary and taught us that anything can happen at any time. On Sept. 10, 1988 I was cutting weeds on my vacant lot in Lake Wildwood in accordance with the requirements of Lake Wildwood Association. The next day I returned from my home in Sacramento with my ski boat and my oldest son and several cadets who graduated together from the Sacramento Sheriff’s academy. We launched my boat into Lake Wildwood and began water skiing. The security patrol boat was the only other boat on the lake. We saw the smoke to the north of Highway 49 and saw unburned pine cone petals float down into the lake but were not very concerned. Then my boat motor stopped dead in the middle of the lake and the cadets dove into the water and towed the boat to shore at Vista Park. By then the patrol boat had left. I found the problem was oil in the distributor and was able to clean it and get the engine going. By then a huge wall of flames came over the hill to the north and we saw motor homes being evacuated out the north gate. We quickly pulled the boat out and left the north gate just before the main evacuation took place. The next week I sat in my truck and listened to reports on KNCO. I know exactly where I was when the 49er broke out. I had been on the Sacramento River with my parents fishing when I got the call. I was coming home across the valley and saw tons of smoke climbing into the sky in the direction of Penn Valley! As I was climbing Pet Hill they were stopping everyone and cars were pouring out of Lake Wildwood at the Pleasant Valley intersection. I can’t even remember why I had our stock trailer but they asked if I could start hauling livestock. I went home, put the cattle and horses in the arena in case it got to our house, loaded pictures and some keepsakes (we’ve had our house burn down so knew what we couldn’t replace) and headed out to save others’ animals. That’s how it went for the next few days. Almost got caught by the fire when hauling out of Rough and Ready, as it came up the canyon from Grass Valley Group. Brad Prowse was my boss at GVG back then and my husband at the time ended up fighting fire on GVG property as well. It did end up jumping Highway 20 and getting close to our place in Penn Valley. Crazy days and sad for a lot of people for sure. It was the 22nd annual Constitution Day Parade and I was lined up on Broad Street as a part of the Daughters of the American Revolution (DAR) Captain John Oldham Chapter’s entry. I was the Constitution Week Chairperson that year and we all were very excited about the parade, Nevada City being one of only a few cities in the county that celebrated Constitution Day. It had been getting smoky and we began wondering where the fire was. There were rumors that the fire started outside Nevada City. The members of DAR started to get alarmed when all the fire trucks entered in the parade started pulling out of the parade lineup and leaving. There was a wind that day and by the time our entry drove through the streets of Nevada City and finished the parade route, the one thought on my mind was that I was anxious to get to my car and turn on the radio so I could listen to KNCO and find out how close the fire was. Little did we know that first afternoon that the fire would sweep across the county several times and spread in several directions before it was finally contained and the fire completely out. Many friends from church and from where I worked lost their homes. Two generations of one family from First Baptist Church lost two homes, outbuildings and all the contents, including all family photographs. This was a wake-up to those of us in Nevada County to be prepared and have an evacuation plan and a to-go bag ready. My husband Jim and I were both HAM Radio operators and we volunteered at Nevada Union High School that was set up as an evacuation center. Woke that morning to very high winds. My husband worked in fire for the Forest Service. As he went off to work we said goodbye knowing there was a possibility a fire could break out (September and wind). As he drove north on Highway 49 to his duty station in Camptonville, he saw smoke and pulled off the road. He observed Gary Wayne Parris running around with a bucket trying to put out the fire. 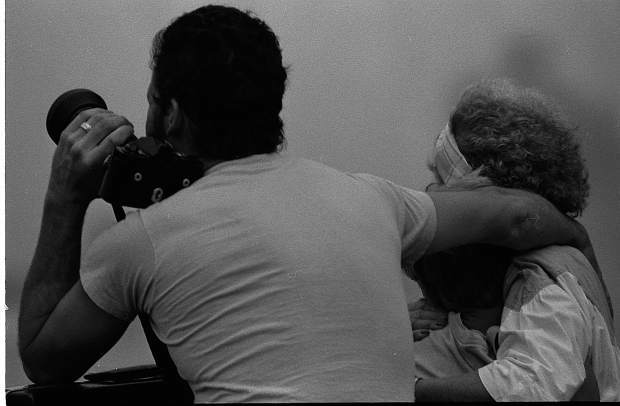 Bob continued up to Peterson’s Corner to call in the fire (before cell phones). He proceeded to the Camptonville. I did not know the fire had started until later that day, while sitting on Broad Street watching the Constitution Day parade. Looking up Broad Street we could see a huge plume building. That was when I first heard/saw the start of the fire. The following days were apocalyptic. From the smoke and inversion it looked like doomsday for a week. Bob was subpoenaed as a witness to testify at the trial (against Gary Wayne Parris). I was there too, first on the scene as a volunteer of the Forty Niner Fire Department. It was ignited by a homeless man. I’m sure this memory plays a large role in why I keep writing about the need to not force the homeless to camp in the brush where they regularly light fires. It’s also just common sense. The fire danger increases every time they break up a camp as it drives them deeper into the woods. There is only one way to reduce the danger of a homeless person causing a fire, provide safe places for them to camp. Wouldn’t it be smarter to do this now rather than wait for the inevitable fire and then wish we had? It didn’t take long see the smoke. Yes, a homeless fellow tidied up after he had relieved himself, and to be very tidy, he lit his toilet paper on fire. 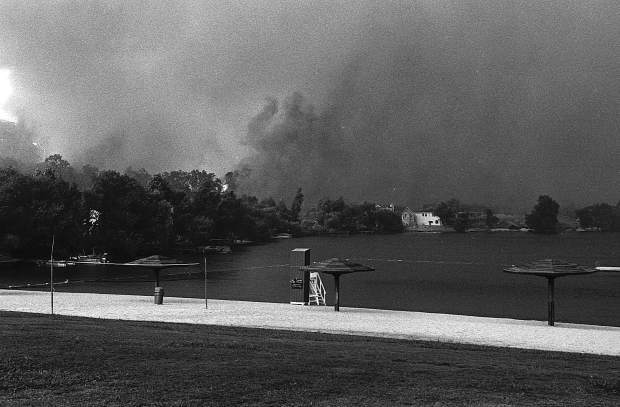 There were winds that day, the fire just kept moving closer and closer to Lake Wildwood.